“Sir, how may I help you?” For decades, mankind is familiar with this phrase – the only thing that comes into mind after hearing this phrase is customer care associates – either at physical customer care center or at call center. Those associates are empowered to provide information (e.g. tracking a package, inquiring the balance), or perform transactions (e.g. scheduling an appointment, paying bill). The common pain points for customers are wait time at customer care and availability round the clock. On the other side, businesses are striving to cope with these problems and provide hassle free customer experience. Technology has answers to these problems as enterprises are heavily investing in Web & Mobile applications, and they have applications with capabilities that reduce human intervention. Let’s fast forward to the Web era, leaving behind mainframes and desktop applications. To adapt to the Web era, businesses had to invest in rewriting applications for web. As time passed, emerging handheld devices brought the challenge of compatibility for different screen size and browsers. Enterprises were now forced to think about multi-channel or responsive applications, which required constant innovation and investment. Furthermore, building multi-channel applications led to the debate of lack of user experience across channels – i.e. desktop browsers, tablets and phones. To explain Chatbot in one sentence, it’s an illusion of having dedicated customer care associate for each end user through chat interface. Now users don’t have to hold on a line for next available associate or remembering how to navigate across an application for getting their task done. On the other hand, businesses don’t have to worry about supporting new devices every year or integrating analytics to application for measuring user experience and devising ways to optimize it. Every web and mobile app is designed with visual interface, and not all of them are designed the same – this means end users must constantly learn new visual interfaces. Whereas, the interface for Chatbot is conversations, it’s the most natural interface that humans understand. Another aspect of Chatbot is that it can automate repetitive tasks. So, humans can focus on revenue generating tasks and future progress of the organization. This automation is not just for the customers, but also applicable in assisting employees in their everyday job. By marketing team for conducting keyword research. By HR and IT departments to instantly respond to employees on commonly asked questions. 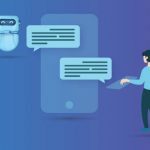 Beyond answering queries and performing transactions, chatbots can carry out more intelligent jobs and learning by themselves over time. Think of the app that you use from your financial institute – where Chatbot usually greets you by saying “How may I help you?”, but one day instead it pops up saying “Hey! 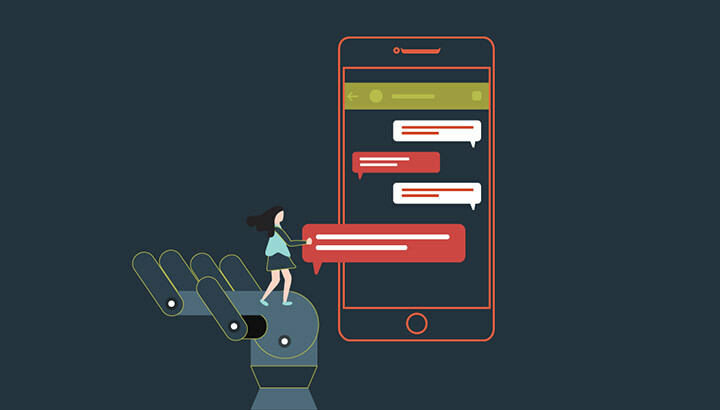 Seems like you are traveling next month, do you want me to adjust your alerts & control settings?” In this scenario, Chatbot learnt about the user from their transactions data. 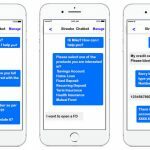 This is the next level of interaction that Chatbot can provide organizations with their customers. We believe Chatbots will now fundamentally alter how we interact with applications. 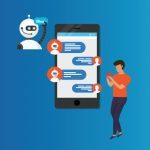 To ease this transition, Streebo has created a chatbot builder that allows enterprises to quickly roll out these “intelligent Bots” – more importantly, it is easy to train them as well. Powered by Industry leading NLP engines including IBM Watson, Streebo’s Enterprise Chatbot engine can connect with various backend systems and bring transactional capabilities to your bots. Learn more about Streebo’s Chatbot solutions! !